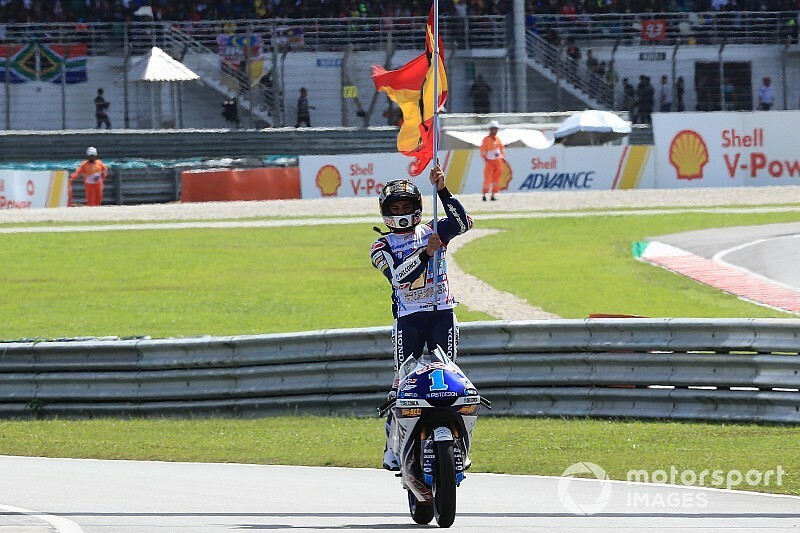 Jorge Martin clinched the 2018 Moto3 title with a race to spare after breaking away from the pack at Sepang for a dominant seventh victory of the season. Martin's chief title rival Marco Bezzecchi had to finish fourth or better if Martin won in order to keep his title chances alive, and starting the final lap the Italian looked set to do just that in second. 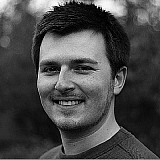 But on that last tour he slipped all the way down to sixth, and managed to gain only one place back to finish fifth. It gives Gresini Honda rider Martin an unassailable championship lead of 26 points ahead of the Valencia season finale in two weeks' time. "There is no feeling, it's amazing and unbelievable," said Martin post-race. "The race was really hard, I was always focussed on leading and breaking away. "All my life, a lot of injuries and bad moments, and now to be here on the top, it's amazing." Martin will graduate to Moto2 next season with the Ajo KTM team, while Bezzecchi makes a similar move with Tech 3. 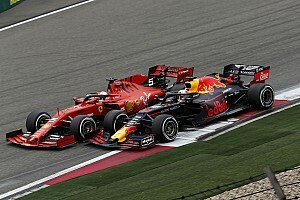 Martin had started the race on pole, but in the early stages it was Bezzecchi that held the upper hand as the championship leader slipped down the order. The Spaniard had dropped as low as 10th by the end of the third lap, as PrustelGP KTM rider Bezzecchi spent the opening exchanges fighting Darryn Binder (Ajo KTM) and Lorenzo Dalla Porta (Leopard Honda) for the top spot. 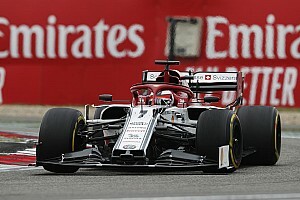 But just before half-distance, Martin began mounting a fightback, as he recovered to sixth on the eighth lap and then grabbed the lead for the first time since the opening lap at the start of lap nine. That triggered a fierce lead battle between the two title contenders, although Aron Canet (Estrella Galicia Honda) was also able to muscle his way in on the act to take the lead on lap 10. Canet crashed out of the lead the next lap, and after that the lead continued to change hands frantically between Martin, Bezzecchi, Dalla Porta and Binder. The decisive lap of the race was lap 13, when Martin managed to muscle his way back into the lead as Bezzecchi dropped to fourth - and the following lap, the Spanish rider posted the fastest lap to begin his breakaway. By the end of lap 15, he had sprinted nearly two seconds clear, and the following lap he gained a further second. Attention turned towards the fight for second, with Bezzecchi still appearing to be in a strong position to keep the title race alive at the end of the penutlimate lap. 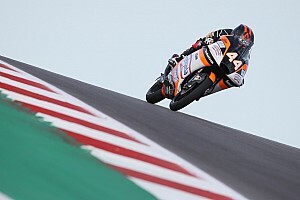 But on the 17th and final lap, he dropped behind not only Dalla Porta, but also Albert Arenas (Nieto KTM) and crucially Enea Bastianini (Leopard Honda) - who went on to pass Arenas for third place behind Dalla Porta. Martin's teammate Fabio Di Giannantonio, who came to Sepang still with an outside shot at the title, was the one who dealt the killer blow to Bezzecchi's title ambitions, passing his countryman for fifth place. And although Bezzecchi managed to get that place back, it came too late to rescue his hopes. Binder finished seventh behind Di Giannantonio, followed by Tony Arbolino (Snipers Honda) and SIC58 Honda pair Tatsuki Suzuki and Niccolo Antonelli. 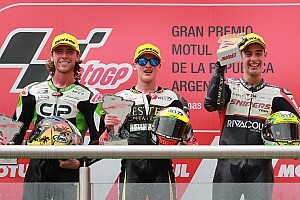 John McPhee's podium hopes ended on the seventh lap when the CIP KTM rider became caught up in a three-way melee with Alonso Lopez (Estrella Galicia) and Dennis Foggia (Sky VR46 KTM). Nicolo Bulega's VR46 substitute Celestino Vietti, who finished second at Phillip Island, continued his strong form in the early laps but crashed while fighting for the podium places on the third lap. Home hero Adam Norrodin (Petronas Honda) also mounted a heroic return from a pitlane start to enter podium contention, only to crash out in the closing stages.